In addition to this, passenger comfort, convenience and connectivity are central to Istanbul Airport. A mix of latest technical advances, a smart wayfinding system, excellent design and a wide choice of shopping and retail experiences will enhance the passenger experience. The airport is also well connected by train, bus and car, thus offering passengers a variety of reliable ways to travel to and from Istanbul Airport. Is the flight on time? Which is the shortest way to the gate? What’s on offer in the shopping area? 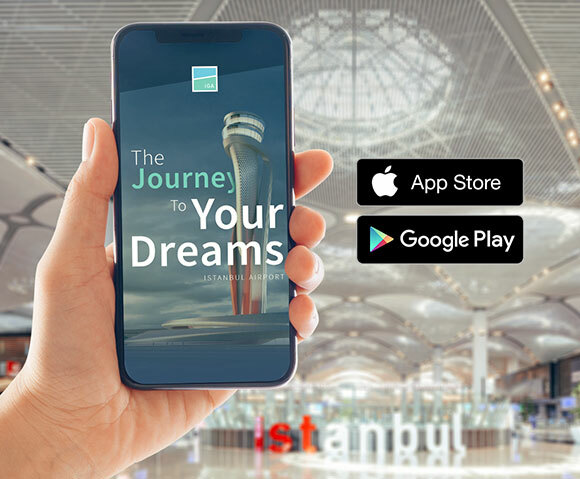 All these questions become clear with the new Istanbul Airport Mobile App, developed by iGA Systems. The brand-new airport mobile app offers passengers various features to make travel easier before and while travelling, such as real-time journey information, indoor navigation, information on shops and food & beverage outlets, as well as detailed information on transport options. It guides passengers from home to gate, saving time and ensuring an enjoyable and stress-free travel. 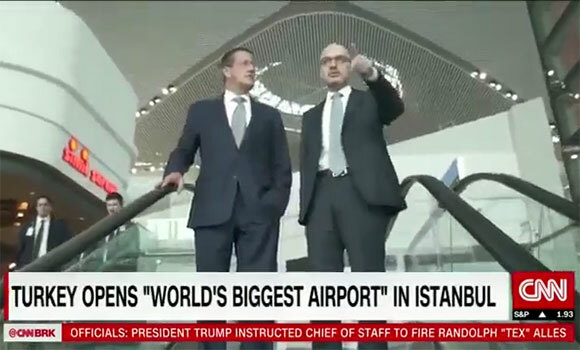 “Take a look at what could one day be the world’s biggest airport,” says the CNN travel anchor in this just-released interview with İGA Chief Executive, Kadri Samsunlu, recorded just days before the full opening.” Despite Quest’s concern that “the history of airport openings is not a happy one” Samsunlu assures CNN that “we have learned from others’ failures” – an assurance that would turn out to be fully vindicated by the smooth transfer of all services to Istanbul Airport. Istanbul Airport has also launched a new exclusive, comfortable and enjoyable travel service, named iGA Pass. 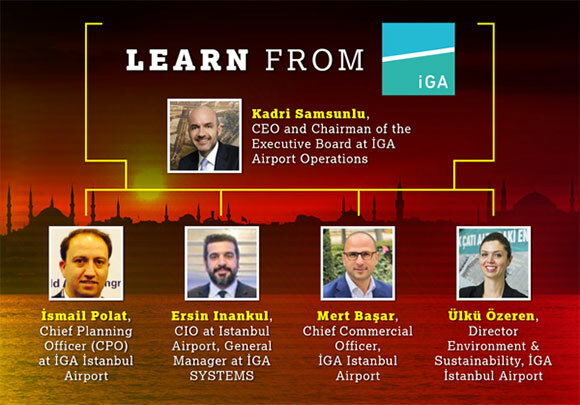 “iGA Pass is not a regular membership programme, it is a combination of services completing one another and making the whole travel process a privileged experience,” says Kadri Samsunlu, CEO and Chairman of the Executive Board at iGA Airport Operations. The pass covers different programmes and services, including Lounge, Buggy, Fast-Track and Meet & Greet. iGA Lounge will be available 24 hours a day, providing a space of 4,420 sqm and a seating capacity for 584 people. Each year Global Traveler Magazine, a monthly audited magazine, bringing readers information about premium cabins, airlines and hotels around the world, asks frequent business and luxury travellers to name the best in a variety of travel-related categories. 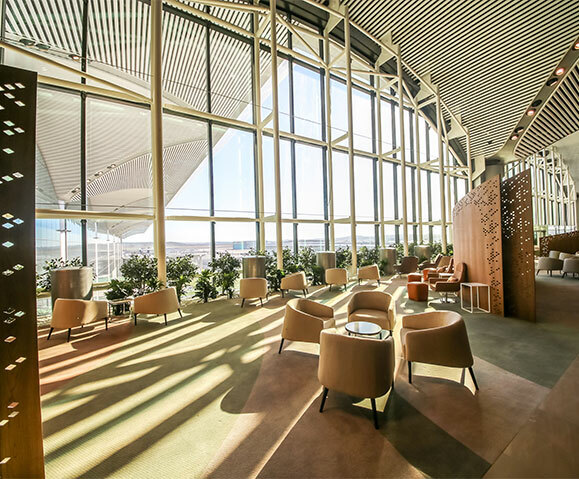 This year Istanbul Airport won the “Outstanding Innovations” Special Achievement Award in Global Traveler’s Leisure Lifestyle Award survey. 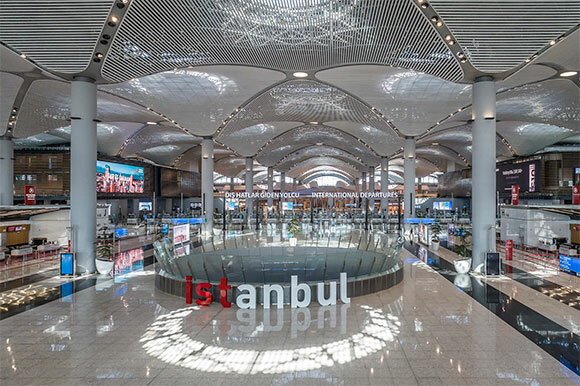 The New Airport Show Istanbul, 18-20 June 2019, will celebrate the opening of the game-changing Istanbul Airport through a spectacular exhibition and high-calibre conference detailing how and why this hub has been built, and defining its centrally-strategic role in global aviation. Taking place at the Istanbul Congress Center, The New Airport Show Istanbul is co-located with Future Travel Experience EMEA, the leading travel tech-show. Featuring intensive İGA-moderated conference sessions devoted to the design, construction and operational expertise centred on the delivery of the new airport, other confirmed speakers include leaders from Turkish Airlines, Virgin Atlantic, Avianca, Viva Air Labs, Swedavia, American Airlines, Cebu Pacific Air, Bengaluru International Airport, Manchester Airport Group, Lufthansa and many more. Delegates can expect an exciting social programme in the unique city of Istanbul, including the Turkish Airlines Gala Evening at the luxurious Wyndham Grand Levent. 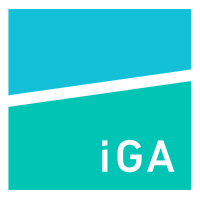 İGA was founded on October 7, 2013 with the purpose of constructing and operating for 25 years Istanbul New Airport. The new airport will be constructed over an area of 76,5 million square meters to the north of Istanbul, in 35 km distance to the city center. The construction will be carried out in four phases. The first phase will be finalized in 2018 with the opening of two runways and a terminal with 90 million passenger capacity. When all phases are completed, the new airport will host about 100 airlines flying to more than 350 destinations with an annual passenger capacity up to 200 million.